Begin by speaking to Skippy, found south of Rimmington. Before starting out, it's best to gather all of the needed items listed above. 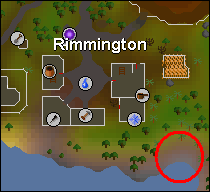 Bucket of Water: Use a bucket with the Well in Rimmington. Get a bowl of water. 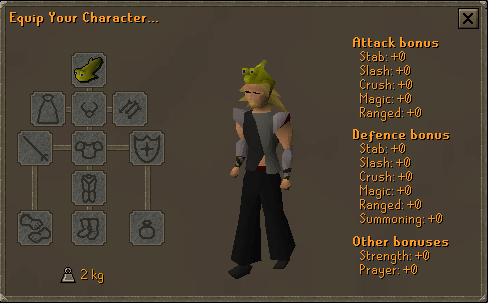 Pick some Nettles - around the Draynor Village Jail or near the Edgeville Dungeon entrance. Be sure to wear Gloves! Use the Nettles with the water and cook the Nettle Water. Get a cup of tea. A cup can be obtained from stealing from a tea stall (in Varrock). You can also buy an empty cup from Culinaromancers' chest in Lumbridge, which requires completion of Recipe for Disaster. There is a cup of tea located on a table in Taverley. Drink the tea to get an empty cup, and use the nettle tea with it. Chocolate Dust: Use a Chocolate Bar with a Pestle and Mortar or a Knife - Chocolate can be found in the Cook's Guild, bought from the Port Sarim grocery store, or bought from Culinaromancers' chest. Bucket of Milk: Use a bucket with a Dairy Cow - found at the farm north of Port Sarim or near Lumbridge. Milk can also be bought in Culinaromancers' chest. Snape Grass: From the respawn west of the Crafting Guild, on the peninsula with the Hobgoblins on it. There are also respawns of Snape Grass on Waterbirth Island. First off, go speak to Skippy, who is an angry, drunk, beaten-up fisherman who is throwing bottles into the water south of Rimmington. Get into a conversation about "Mudskippers" and what they are, and eventually you will be asked to sober him up for more information. Use your bucket of water with him, and he will then say he feels a bit better, but needs a cup of tea. He prefers Nettle Tea. Use the Nettle Tea with him. He will say he is better now, but has a hangover. Use a Hangover Cure with him (from the Plague City Quest). To make a hangover cure, use chocolate dust with the milk, then use the Chocolaty Milk with the Snape Grass. Now he should be sober and hangover-ridden enough to tell you about the "Mudskippers." 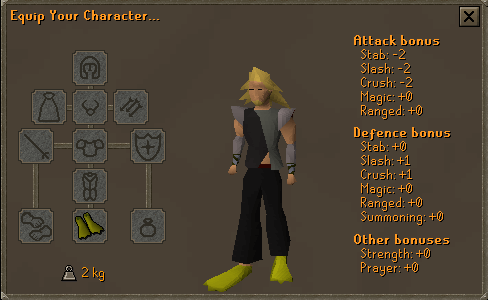 The Mogres drop Mudskipper Hats and Flippers. These don't give much of a defensive bonus, but they look cool! Occasionally, the Mogres may drop a Crunchy Claw Token. If you take this token to Nung at the Mogre Camp (from the Pirate Pete part of Recipe for Disaster), he will trade it for a pet crab! Please note, you will need to have 40 Summoning if you wish to trade the token for the crab (you may still receive this token as a drop without 40 Summoning though). 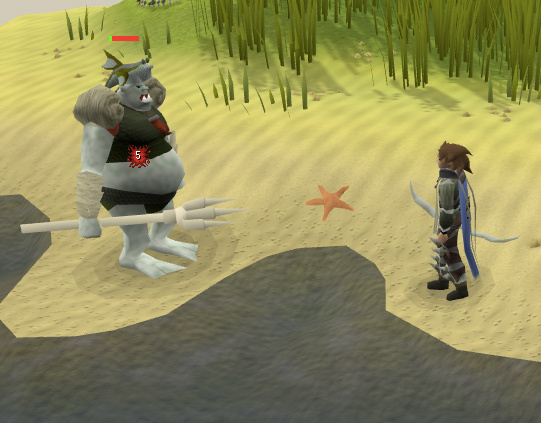 Ability to throw Fishing Explosives into the fishing spot on Mudskipper point if you have level 32 Slayer.